During a conference on information warfare and hybrid threats held in Prague on 30th November the former chairman of the NATO Military Committee General Petr Pavel said that more needs to be done to face Russian and Chinese hybrid threats. He noted that the security forces cooperate well in to counter the dangers of terrorist attacks in Europe, but underestimate the threat of hybrid attacks by Russia and China. Ministry of Defence will buy 71 T-815 and T-810 vehicles from the Tatra Trucks within the next three years for approximately CZK 467,5 million (USD 22 million). In the following year the Ministry would possibly buy another 30 vehicles for CZK 252,6 million. The Intelligence Service (BIS) warns of heightened activity of Russian and Chinese agents on Czech territory. Its 2017 annual report says that both Russia and China have stepped up their activity in the sphere of hybrid warfare and disinformation campaigns, often using Czechs who serve as a smoke screen. According to the BIS Russia uses its large diplomatic corps in the Czech Republic to its advantage, while the local politicians and public service employees are often irresponsible to confidential information. The number of Chinese agents serving under the guise of diplomats has significantly increased. President Miloš Zeman later said the annual report by the BIC did not contain any evidence on concrete Russian or Chinese spies in the country, and described the BIS report as “blether”. According to a study conducted by the Council of Europe Czech Republic has one of the highest rates of prisoners per capita in Europe at 198 prisoners per 100,000 inhabitants (2015), which is 6 percent more than in 2005. The Czech Republic has joined NATO member states in urging Russia to comply with the terms of the 1987 Intermediate-Range Nuclear Forces Treaty. At a meeting of NATO foreign ministers in Brussels held on 4th December Minister of Foreign Affairs Tomáš Petříček said the Czech Republic fully understands the U.S. decision to abandon the pact if Russia does not start complying with the treaty within 60 days. The National Centre for Combatting Organized Crime (NCOZ) of the Czech Police issued a warning concerning „uncontrolled numbers of people practicing Islam entering the country“, who present a security threat. In its annual report the Centre says it has registered an increasing number of companies and agencies owned by Muslims being up in the Czech Republic for the purpose of settling visas and residence permits for Muslims to this country. 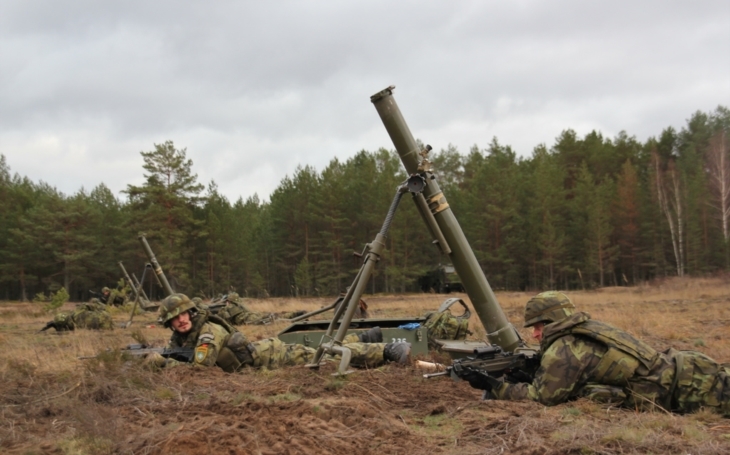 On the 4th and 5th December the Chief of General Staff General Aleš Opata visited the Czech troops deployed in the Baltics within the NATO Enhanced Forward Presence (eFP), the mortar platoon of the 71st Mechanized Battalion and a mechanized company of the 41st Mechanized Battalion. He was accompanied by the members of the Committee on Defence of the Chamber of Deputies including Jana Černochová, chairwoman, Jan Lipavský, vice-chairman and Pavel Jelínek and Michal Ratiborský.